Exports from Latin America fell 9 percent between January and March 2016 compared to the same period the previous year. This figure indicates a deceleration with respect to the 2015 decline of 15 percent, according to a new report by the Inter-American Development Bank (IDB). The “Latin America and the Caribbean Trade Trend Estimates” update shows that the stabilization of commodity prices and the expansion of export volumes have given way to a slight improvement in the region's trade performance. "After eighteen months of trade contraction exports from the region have fallen with less intensity, but for a longer duration, compared to the trade collapse of 2009", indicated Paolo Giordano, Principal Economist of the IDB and coordinator of the report. The export contraction slowed in South America, following the reversal of the trend in Argentina, the only South American country that registered an export growth, and the slower pace of decline in exports from Brazil, Chile, Peru, Paraguay and Uruguay. Bolivia, Colombia, Ecuador and Venezuela, economies with a higher concentration in oil and gas exports, continue to display the largest export contractions in the region. Meanwhile, contrary to expectations, there was a deeper drop in shipments from Mexico and some Central American countries such as El Salvador, Guatemala and Honduras. 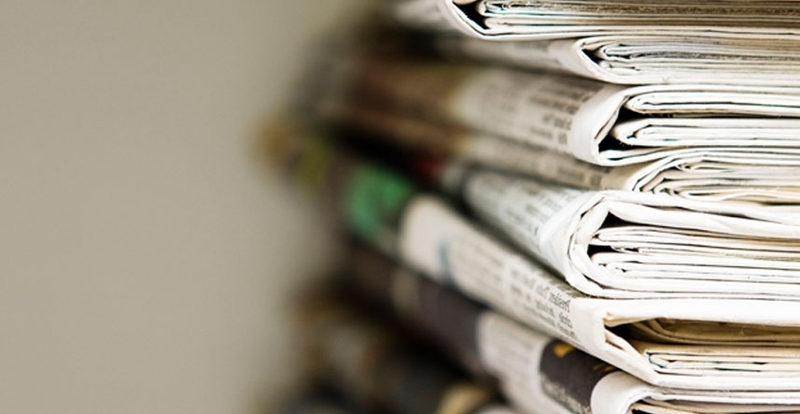 Nicaragua, Panama and the Dominican Republic showed a slightly slower decline, while Costa Rica managed to reverse the trend and recorded an expansion. 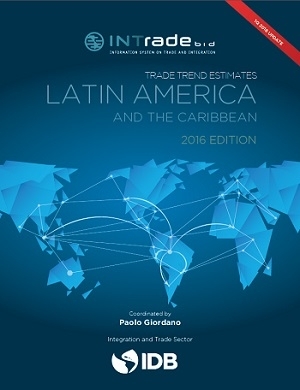 The report produced by the Integration and Trade Sector of the IDB includes detailed data for 18 Latin American countries. Source: IDB Integration and Trade Sector, based on official national sources. Notes: Growth rates rounded to the unit. 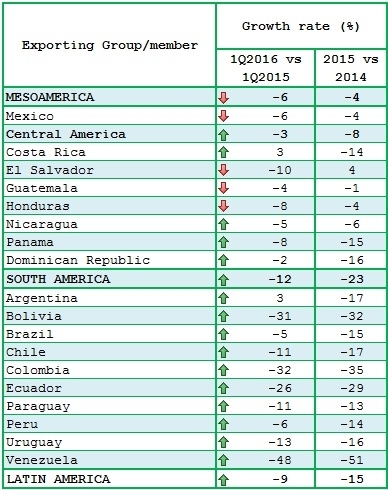 Complete data available in Latin America and the Caribbean Trade Trend Estimates – Update 1Q 2016. See the Methodological Note for additional information regarding the procedures, time periods, and sources of the data used in the estimates. The slowdown in the rate of decline of regional exports – the sustainability of which is still uncertain – is mainly due to the prices of the main commodities exported by Latin America, which seem to have bottomed out at the beginning of 2016, and recorded a slight increase in recent months. At this juncture, the export contraction is mainly due to the lower demand from the United States and the region itself. The fall of intraregional demand markedly affects the South American economies, while the lack of transmission of the United States’ growth through the trade channel reduces the economic prospects of Mexico and Central America. The report concludes that the risks for regional export growth are still tilted to the downside. The prospects of reversing this negative trend are mainly associated with a scenario characterized by the stabilization and possible improvement of commodity prices, as well as the acceleration of the external demand in the United States and China.